Kaymu is an online platform, but it is also a network of offline communities, from individual entrepreneurs, to local mom and pop stores to wholesale retailers. An important part of the unique Kaymu experience is the connection shoppers can have to the artisans and merchants who live and work in their neighborhoods. According to Md Sefik Bagdadioglu, “We constantly seek ways to bring our online world together with offline shopping experiences, making connections between those communities whenever we can, and now we’re taking the next step in our commitment to facilitate these connections, and make it even easier for shoppers to find and support local businesses through the Kaymu Buy Nigeria project at the 2015 Lagos International trade fair”. This year, from the 6th to the 15th November over 70+ small business owners/ sellers will get a FREE slot at the annual Lagos International trade fair courtesy Kaymu, to come together and sell their goods — everything from clothes to jewelry to home décor — direct to customers. The Buy Nigerian event will feature only local entrepreneurs that sell on Kaymu and will give regular users of the site a chance to meet in person and interact with the stores that they may have only dealt with online. Visitors to the Kaymu Buy Nigerian event have the chance to shop favourites from a myriad of categories ranging from handmade fashion designs to children's items, kitchen appliances and lot’s more. 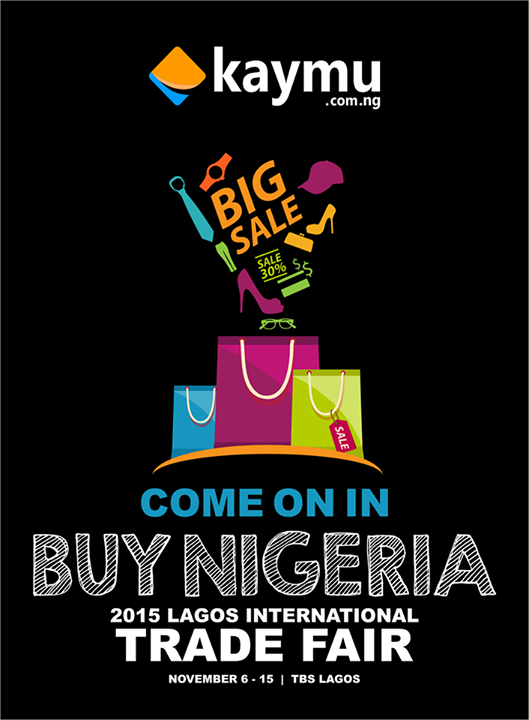 “The Kaymu Buy Nigeria project is one of our biggest event of the year. It is an opportunity to not only find new, local sellers to support in Lagos, but also a chance to meet some of the sellers you’ve purchased from in the past,” Bagdadioglu stated. It’s important for small businesses to support each other, so we’re super excited about Kaymu Buy Nigeria - its immediacy and “buy local” spirit creates a more intimate connection with our customers, plus it’s cool to be able to buy the perfect shoe in a pinch!” - Massimiliano Spalazzi CEO Kaymu Africa added. Kaymu Buy Nigeria is another way we’re helping shoppers find and support creative entrepreneurs in their local communities. 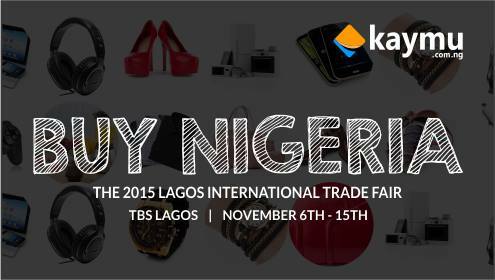 Discover what’s happening at the event here or head over to the Lagos State Trade fair at TBS to meet the Kaymu team. 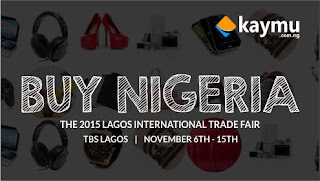 The Kaymu: Buy Nigeria event takes place from November 6th - 15th from 10 a.m. to 7 p.m. at the Lagos Trade fair Tafewa Balewa Square. For a full list of vendors look for the Kaymu Nigeria Facebook.